BEST SELLER! 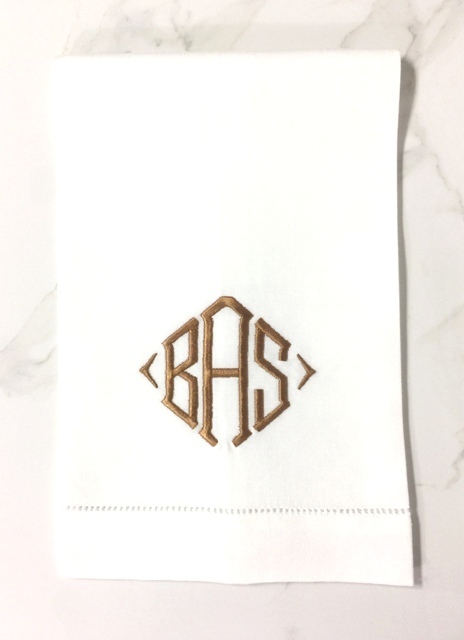 Traditional three letter monogram diamond design pattern with side accents. Guest towel pairs & sets arrive in our Signature Gift Box with ribbon. Allow additional time for larger orders.